One of the beautiful things about modern digital photography is the astronomical degree of choice that is available to us. No matter whether you’re a professional photographer, a weekend warrior, or a casual enthusiast who just likes to take snapshots of your kids, your food, or your feet – there are dozens, even hundreds, of camera models and options to suit your needs. There are specialty cameras for recording extreme sports, underwater cameras for photographing the deep blue sea, and a slew of lenses available for DSLR and mirrorless cameras to suit any situation in which you might find yourself. There are also some clear differentiating factors between these various options that make some cameras better suited to certain situations. One of the most common issues I see discussed is that of full-frame versus crop-sensor cameras. To help clear the air regarding this particular question I’d like to address four common myths about full-frame, with the goal of helping you choose a camera that suits your needs. Taken with a 10-year-old crop-sensor Nikon D200 and 50mm f/1.8 lens. I see this myth being perpetuated all the time, particularly in online forums but also when talking to people in person. It’s a shame because it’s just not true. full-frame is certainly better in some aspects compared to crop-sensor cameras, but to declare that they are universally better is colossally misleading. One analogy I like to use here is that of vehicles, particularly pickup trucks. A beast like the Ford F-150 is a fantastic and phenomenally well-rounded truck that excels at hauling, towing, and all the usual heavy-duty jobs for which one would typically buy such a vehicle. By comparison, the Toyota Tacoma is a smaller truck and not quite as powerful or capable, but actually beats its larger counterpart in some regards such as better gas mileage, smaller turning radius, and greater overall agility in a more urban environment. Taken with a full-frame Nikon D750 and 85mm f/1.8 lens. A crop-sensor camera would have worked, but would have required me to be farther back in order to get this same composition and there was simply not enough space in the room to do so. Neither truck is objectively better; both are well suited to the specific needs of the people who purchase them. The same is true for cameras in that full-frame cameras work very well in many regards. But to say they are better negates some of the unique advantages of smaller crop-sensor cameras. Autofocus points that reach farther out to the edges of the viewfinder. Longer reach—a 200mm lens on a crop-sensor camera is basically like shooting with a 300mm lens on a full-frame camera. These are all generalizations, of course, and there are always exceptions to the rule. But suffice it to say that just because full-frame cameras exist doesn’t mean you need to get one. Taken with a crop-sensor Nikon D7100, 50mm lens, and +10 close-up filter. This is a myth that’s closely related to GAS, or Gear Acquisition Syndrome – a condition that plagues many photographers and often causes them to continually buy more cameras, lenses, and accessories in the hopes that these things will help improve their photography. Getting a full-frame camera will certainly allow you to take advantage of the unique benefits that they offer, but it will by no means do anything to actually improve the quality of your photographs. No matter what camera you have, whether it’s a mobile phone, pocket camera, or crop-sensor DSLR, the best thing you can do to make yourself a better photographer is to learn more about photography, not spend money on new gear. In fact, sticking with the gear you have and learning to work within its limitations can have a profound impact on your photography and go quite a long way towards helping you improve. Taken with a full-frame Nikon D750 and 50mm lens, but it was years of learning about composition, lighting, and other photographic principles that helped me get this shot. To extend the vehicle metaphor just a bit, buying a Formula 1 car will not automatically make you a better driver. Certainly, it will allow you to have access to the unique capabilities of such a fine automobile. But simply parking an F1 racecar in your driveway will in no way upgrade your own ability to operate a motor vehicle. Some photographers mistakenly think that purchasing a full-frame camera will give their photography a boost. But in truth, it’s the day-in-day-out work of practicing the fundamentals of photography like composition, lighting, color, contrast, etc., that will lead to improvements. If you do decide that you want to invest in full-frame gear, you can take solace in the fact that price is no longer the barrier to entry that it once was. The first full-frame camera was the Canon 5D, which came out in August 2005 and cost about $3500 USD, which made it prohibitively expensive for all but the most dedicated professionals and ardent enthusiasts. Crop-sensor cameras were far cheaper, making them the default solution for many photographers around the world. To this day they remain a perfectly viable option for almost any type of photography. However, as prices have gone down over the years it is now much more feasible to purchase full-frame gear compared to days gone by. New full-frame cameras such as the Nikon D610 or Canon 6D are about $1400-1500 (at the time of writing this) and can often be found on sale, which is a steal compared to just a few years ago. And while more expensive models such as the Canon 1DX Mark II or Nikon D5 can easily cost as much as a used car, you certainly don’t need those high-end models to take advantage of many of the benefits of shooting full-frame. Taken with a full-frame Nikon D750 and 70-200 f/2.8 lens. I could have taken a similar shot with a crop-sensor camera and different lens, but I specifically wanted the wide aperture of this lens and the control over depth of field offered by the D750. Another benefit of the passing of time is that full-frame cameras which were cutting-edge a few years ago are significantly cheaper in price now that they have been replaced by newer models. Consider the Canon 5D Mark II, a camera which is so good it was used to film the season finale of the TV show House in 2010. While it can’t match the blistering high ISO performance and other tricks of its newer counterpart, it’s still a phenomenal camera and can be found used online for much cheaper than the shiny new models. Taken with a crop-sensor Nikon D7100 and 50mm f/1.8 lens. Sensor technology in cameras today is so good that you can shoot professional photos whether you have full-frame, crop-sensor, medium format, micro-four-thirds, or in some cases even just a mobile phone. Camera gear is not the limiting factor it once was. So while many professionals certainly like to shoot full-frame, there is a growing number who prefer the features, size, convenience, and price of smaller models especially in the world of mirrorless cameras like the Olympus OM-D EM1 Mark II or Panasonic GH5. If you have specific needs that are not being met by your crop-sensor camera then it may be a good idea to consider a full-frame camera. But otherwise, the gear you have is probably good enough and you’d be better off investing your money in lenses, lighting, and education rather than a new camera body. Taken with a full-frame Nikon D750 and 50mm f/1.8 lens. Why that particular setup? Honestly, I just like how that camera feels in my hands and I enjoy using it. I’d like to hear from you, the DPS community, on this one. What type of camera gear do you shoot with, and is there any way in which you find it to be limiting? Do you shoot with full-frame and if so, what do you like about it? 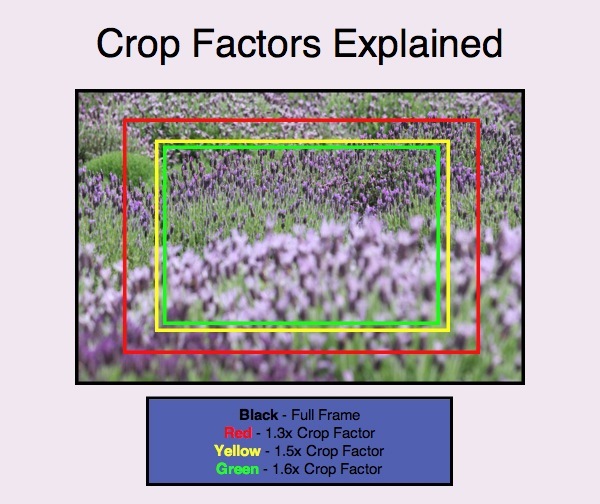 Are you content using crop-sensor cameras? For the record, I personally use both crop-sensor and full-frame cameras and have specific purposes for both. But it’s always interesting to hear from other photographers on subjects like this. Leave your thoughts in the comments below.